4 brilliant conditioning classes you need to try. Not only do you have an experienced instructor leading the way, pushing you way beyond your comfort zone; you can also attend with your friends in tow too - there’s nothing like sweating alongside your nearest and dearest to keep you going. Here at Holmes Place, there are plenty of group classes to choose from. Stuck for choice? Get up close and personal with these five conditioning classes. Want a shaped booty and strong legs? That’s the focus of this 30 minute workout, exclusive to Holmes Place. The class is based on movements used by the Brazilian Gymnastics Academy; localised to your lower half to tone, strengthen and build muscle while simultaneously stimulating the fat-burning process. Forget the health benefits though - who can resist the infectious rhythms of Brazilian music? Shake, swing and sway your way to a fitter body with this lively dance workout. Are you looking to burn calories, increase core strength and sculpt that body? This Les Mills favourite is the one for you. Join more than 5.5 million others worldwide for the whole body barbell workout - pushing the major muscle groups to the limit; even working those that you didn’t know you had. Throughout the class you’ll use light weights in a repetitive manner to achieve a toned body without any unwanted bulky muscles, burning up to 590 calories in just one hour. Not to mention a motivational playlist to help you stay focused, featuring everything from Calvin Harris to Bon Jovi. Go on, challenge yourself. Brace yourself; this is a full-on class that goes from 0-60 in a matter of seconds, with high-impact aerobics at its core. Needless to say, it’s not for the faint-hearted. 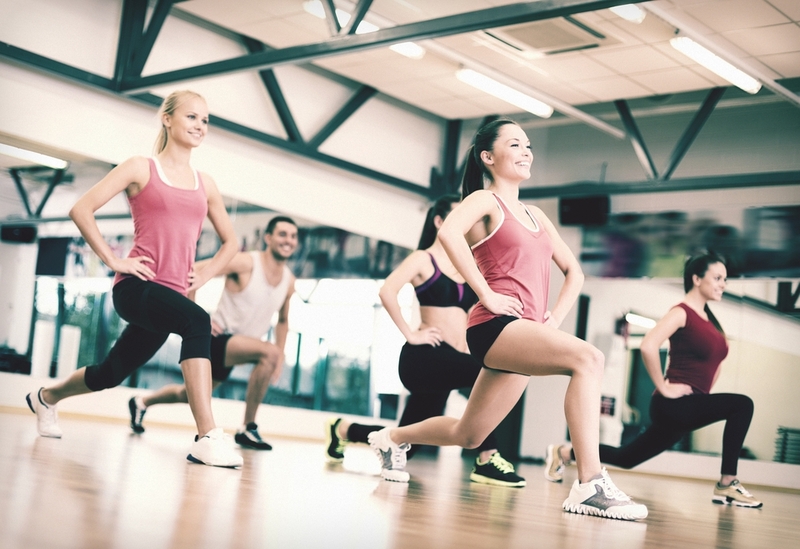 The class features simple, energetic routines, combining strength, coordination and cardio moves. Walk in that room knowing you’re going to work so hard but will be floating on air afterwards. Besides, now you’ve earned a treat. Glass of wine, anyone? Trampolining is the latest trend to take the fitness world by storm and Holmes Place has its very own exclusive class centred around the phenomena - and it’s super-fun with a capital F.
Although it may seem like a giggle, thanks to the enjoyable equipment at its core, this workout is seriously pushes your body to the max. And it doesn’t just boost the strength and tone of your legs - you’ll feel the burn in your shoulders, abs and arms, too. The 45 minute high intensity cardio class is also low impact, which is great for the joints and your bone health.